What Facts Should I Know about Migraine and Cluster Headaches? What Causes Migraine and Cluster Headaches? What Are the Risks of Migraine and Cluster Headaches? How Are Migraine and Cluster Headaches Treated? Migraines are headaches that most likely stem from problems with blood vessels in the head. Migraine headaches typically last from 4-72 hours. They may happen as often as several times a week to only once a year. Migraine headaches cause moderate-to-severe pain. The pain may be located on one or both sides of the head, in the back of the neck, or around the face or eyes. Symptoms like nausea, vomiting, dizziness, stuffy nose, and/or watery eyes may occur. Some people have tunnel vision or see spots or halos. People who have migraines are called migraineurs. What is a cluster migraine headache? Cluster headaches are vascular headaches that occur almost daily in episodes, or “clusters,” over weeks to months. The pain is severe and comes on very suddenly. Pain usually affects one side of the face and is accompanied by nasal congestion, runny nose, and watery eyes. 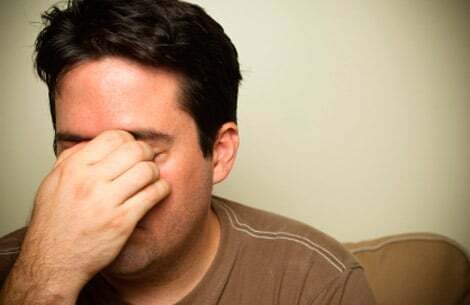 In contrast to migraine headaches, cluster headaches occur more frequently in males. Many experts believe that migraine and cluster headaches share a common cause that begins in the nerve that carries sensation from the head to the brain (trigeminal nerve). Blood vessels on the brain’s surface expand (dilate), causing swelling in an area and pressure on nerve endings. The nerve endings submit signals to the brain to perceive pain. This may also explain some other symptoms associated with migraines, such as nausea, vomiting, and visual disturbances. Migraine and cluster headaches are debilitating and may affect quality of life, cause depression, worsen job performance, and increase absenteeism from school or work. When migraines occur, individuals often need to lie down in a dark, quiet environment away from any sensitizing triggers. A headache may be stopped in its tracks with certain medicines. This is called abortive therapy. If headaches occur frequently, regularly scheduled medication may be prescribed to prevent headaches or to lessen their severity. Abortive therapy for migraine headaches has improved over the last decade, and newer medications (for example, triptans) are very effective and act rapidly to treat the cause of migraines. Antinausea medications (for example, prochlorperazine [Compazine] or promethazine [Phenergan]) may be used for individuals who experience nausea or vomiting. Nonsteroidal anti-inflammatory drugs (NSAIDs) like Advil or Motrin are available without a prescription. Other nonprescription choices include combinations of aspirin, acetaminophen (Tylenol), and caffeine (for example, Excedrin Migraine). Potent analgesic agents that combine acetaminophen or aspirin with barbiturates (butalbital), caffeine, and narcotic analgesics like codeine (for example, Fioricet, Fiorinal, Tylenol #3) may also be needed. One of the most common treatments for cluster headaches is to breathe 100% oxygen for 10-15 minutes. Other abortive therapy options are similar to those used for migraine headaches. Types of drugs in this class include almotriptan (Axert, Almogran), eletriptan (Relpax), frovatriptan (Frova), naratriptan (Amerge, Naramig), rizatriptan (Maxalt, Maxalt-MLT), sumatriptan (Imitrex, Imitrex Nasal, Imigran), and zolmitriptan (Zomig, Zomig-ZMT, Zomig Nasal). How triptans work: Triptans are used to treat migraine or cluster headaches once they occur. Triptans stimulate serotonin (a chemical needed to transmit various nerve signals to the brain), decrease inflammation, and reverse blood vessel dilation (expansion) around the brain, thereby relieving the migraine or cluster headache symptoms. Some of the newer triptans, such as eletriptan (Relpax), rizatriptan (Maxalt), and zolmitriptan (Zomig), are considered more selective for the specific serotonin receptor (5-HT1D) than older triptans. The increased affinity for 5-HT1D may result in decreased toxicity. Use: Triptans are available in a variety of dosage forms designed to be swallowed, dissolved in the mouth, injected under the skin, or sprayed up the nose. Do not use triptans within 24 hours of taking ergot alkaloids such as methysergide (Sansert) or dihydroergotamine (D.H.E. 45 Injection, Migranal Nasal Spray), because excessive constriction (narrowing) of the blood vessels may occur. Do not use triptans with other drugs that affect serotonin, such as fluoxetine (Prozac), paroxetine (Paxil), and St. John’s wort. Do not use triptans within 2 weeks of taking a monoamine oxidase inhibitor (MAOI), such as phenelzine [Nardil]). Side effects: Triptans may increase the risk of chest pain, stroke, abnormal heart rhythms, or heart attack in susceptible individuals (see previous warnings regarding who should not use these medications). These drugs commonly cause a sensation of pressure or heaviness in various parts of the body, particularly the head, and may induce migraine headaches if overused or the dose is increased. Triptans may cause a bad or unusual taste in mouth, and the nasal spray may cause nose and throat irritation. Types of drugs in this class include ergotamine (Bellergal-S, Bellamine, Cafergot, Ergostat), dihydroergotamine (D.H.E. 45 Injection, Migranal Nasal Spray), and methysergide (Sansert). How ergot alkaloids work: These drugs stimulate serotonin (a chemical needed to transmit various nerve signals to the brain), decrease inflammation, and reverse blood vessel dilation (expansion) around the brain, thereby relieving the migraine or cluster headache symptoms. Who should not use these medications: People with allergy to ergot alkaloids should not use them, nor should those with peripheral vascular diseases (for example, Raynaud's disease, thromboangiitis obliterans, thrombophlebitis, or severe atherosclerosis). Use: These drugs are available in a variety of dosage forms designed to be swallowed, inhaled, dissolved in the mouth, or injected. Do not use ergot alkaloids within 24 hours of taking triptans. Do not use ergot alkaloids with other agents that affect serotonin, such as fluoxetine (Prozac), paroxetine (Paxil), or St. John’s wort. Some drugs decrease the ability of the body to eliminate ergot alkaloids. To avoid problems, persons taking these drugs must check with their doctor or pharmacist. Side effects: Ergot alkaloids may decrease blood flow because of blood vessel constriction (narrowing), thereby decreasing oxygen to various tissues. Possible symptoms include chest pain, stomach pain, and/or numbness or tingling in hands or feet. Because of this risk, only a certain amount of ergot alkaloid may be taken within 24-48 hours, and these drugs must not be taken for prolonged periods (weeks or months). Serotonin modifiers such as fluoxetine (Prozac), paroxetine (Paxil), sertraline (Zoloft), and citalopram (Celexa) - these are relatively ineffective compared with those in the older tricyclic class of antidepressants (for example, amitriptyline [Elavil] and nortriptyline [Aventyl, Pamelor]) and with venlafaxine, a serotonin norepinephrine reuptake inhibitor (SNRI) antidepressant? Prednisone (Deltasone), lithium (Eskalith), and verapamil (Covera-HS) are typically used to prevent cluster headaches. "Acute treatment of migraine in adults"
What abortive therapy were you prescribed for your migraine headaches? What abortive therapy were you prescribed for your cluster headaches? What preventive therapy were you prescribed for your migraine headaches? What preventive therapy were you prescribed for your cluster headaches?